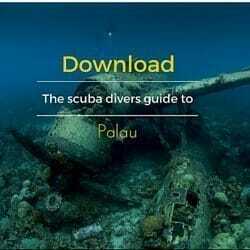 Let me tell you a bit more about diving the North of Palau. If you are like me and enjoy diving for the adventure it provides then I can show you a place that really is one. Diving for me has always been an adventure, at least I strive to make it one. When it becomes familiar as it invariably does, when I am diving the same spots over and over again as part of my job as a resort cameraman, I look to find new and interesting things, to rekindle the fire threatening to be extinguished by familiarity. It sounds like a PADI cliché but the excitement builds, I want to run and jump and pump the air, the adrenaline is vying for dominance in my mind and body that is itself in a process of trying to calm itself down and focus on what I am about to do. A filming dive into the unknown. 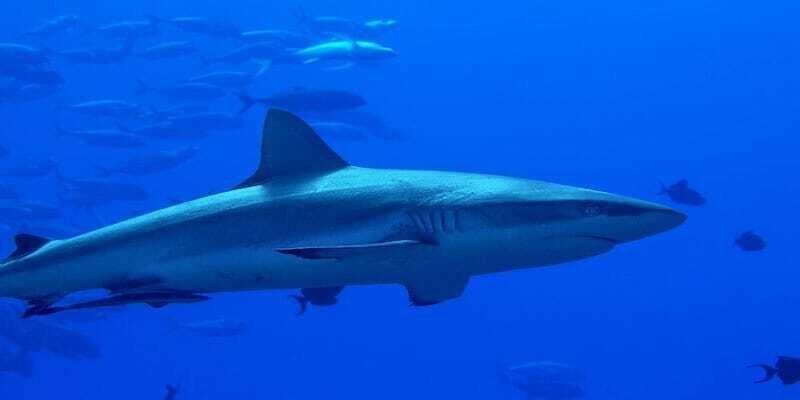 I am like this above the Northern reefs of Palau. I finish getting ready, there isn’t another boat in sight, there’re no maps of the area that I can refer to, only what you can glean from that site appraisal and what the local boat driver has told me, and then when you’ve done your checks, your buddy has done there’s, you both look at each other and give the nod and you go for it. The Northern Reefs of Palau, the ones a long way North of the main island of Babeldaob, are for all intents and purposes un-dived. A huge area replete with drop offs, channels, lagoons, coral gardens, cleaning stations and current ripped corners. An area as big as the whole of the Rock Islands and Ngemelis to the south. They have firstly in the case of Ngerangel and Velasco, been protected from commercial and heavy local fishing for around 15 years and secondly, due to their remoteness, very few people dive there. The result is that the fish are plentiful, large and inquisitive of divers. This combined makes it an unforgettable experience when within a minute of descending to the reef you are confronted by sharks swimming at you with such a purpose that you instinctively adopt a kind of crouched-on-the-sprinters-blocks stance that (laughingly) you must feel at the time will help you as these supremely adapted animals come to check you out. You are after all an alien now in their world. They circle you 3 or 4 times, clearly interested in what you are and what all the noise (from your bubbles) is. Sharks are not the only ones to do this. The large predatory Tuna/Mackerals/ Barracudas also exhibit this interest. It really makes you wonder what is going on in their minds because they are undeniably INTERESTED in you. They are not the tamed variety that is so used to divers now in sites like Blue Corner, that they carry on about their business as if you weren’t there. Neither are they the ones that are hunted by spearguns around the states of Babeldaob and swim in the opposite direction as soon as they see you. They are wild and unhindered by fear, and it shows….. and it is incredible and wonderful to witness. The Turtles, Eagle-Rays, Mantas, in fact practically everything has a wonderful innocence about it that is unique in my experience. It makes me dive in a different way too. My filming takes on an importance because of the newness of the experience. The importance to document what I’m witnessing, besides the project I’m working on, I’m hoping to show just how different it is so I can capture it before it’s gone, because it is like so many of the wild places of the world, under very real threat from those that wish to destroy it for short term gain. So my advice apart from making sure your camera batteries are charged, memory cards cleared, housing sealed and ready to capture some of the most amazing diving experiences of your life is that you get yourself out here and experience this for yourselves with Palau Dive Adventures. Experience the remoteness and beauty of Kayangel, experience the warm hospitality of those few Palauans that live there, experience the delicious sea food that they themselves have caught and cooked for you, experience what it’s like to be confronted by a very inquisitive 10 foot Silver-tip Shark well before you are ready for it, experience the night sky so clear the Milky Way doesn’t seem as if it could be real. Experience waking up in the morning there looking forward to another day of the same. I tell you, you won’t want to leave.